While claiming the moral high ground, Christians keep making the news for doing nasty things. 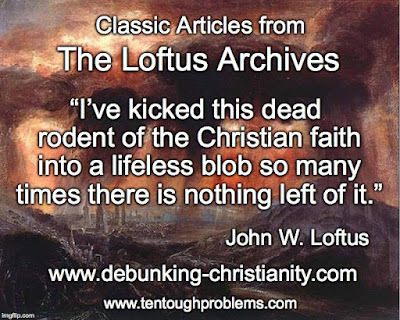 The Debunking Christianity blog has been amassing the arguments against this malignant religion for a long time. There are so many great articles in its archives that deserve to be kept front-of-mind. • Just Who Can Be Accused of Having Closed Minds? Installment One of this series can be found here. Installment Three is here.